Laurence Kraemer, JD, is senior vice president, general counsel and interim chief legal officer of Northwell Health. In this role, he supervises a team of more than 40 lawyers and more than 50 compliance professionals who provide legal services and compliance oversight to all Northwell hospitals, clinical entities and joint ventures. Mr. Kraemer focuses on corporate, tax and structuring advice to the health system, with particular emphasis on mergers, acquisitions, affiliations and joint ventures. 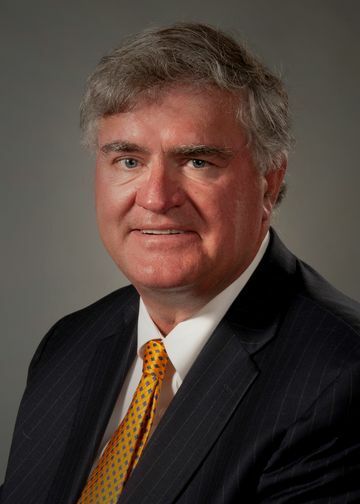 Prior to joining Northwell in 2007, Mr. Kraemer spent nearly 20 years leading the Deloitte & Touche health care, colleges and universities, and exempt organizations tax consulting practice in the Northeast, where his clients included many national, international and high-profile health care and tax exempt organizations. He is a published author and speaker on many topics involving health care and tax exempt organizations. Recent speaking engagements have included the Healthcare Law & Compliance Institute's “Innovation in Healthcare and Healthcare Delivery,” the American Health Lawyers Association's “Two-Step in Harmony: Hospital Partnerships with National Centers of Excellence” and “Emerging Trends in Health Care Joint Ventures,” as well as the New York State Bar Association's “Tax Treatment of Accountable Care Organizations." Mr. Kraemer received his undergraduate degree from Rutgers College and his JD from the Boston University School of Law. He also holds an LL.M. degree from the New York University School of Law. He is a member of the American Bar Association, American Health Lawyers Association, and the New York State Bar Association. He is the vice chair of strategic planning of the AHLA Tax and Finance Group. He has been admitted to the bar in the State of New York, the United States Supreme Court, the United States Tax Court and other federal courts.